This Memorial Flag Case is hand crafted out of solid oak that has a high gloss finish with a lightweight acrylic front panel. This Memorial Flag Case is hand crafted out of solid oak that has a high gloss finish with a lightweight acrylic front panel. 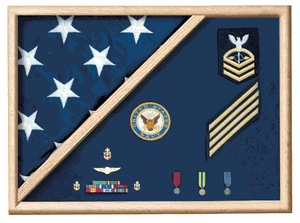 This beautiful case is perfect for displaying your special 5' x 9.5' flag and any other memorabilia, such as medals, rank insignia, patches, pins and more. Included are a wall hanging kit and complete care instructions. You may also add an engraving plate that you may mount wherever you like on the Memorial Flag Case. You can either choose black on brass or plain brass and they are engravable with up to three lines of 36 characters each. The background fabric on this Memorial Flag Case can either be service uniform fabric or velvet. 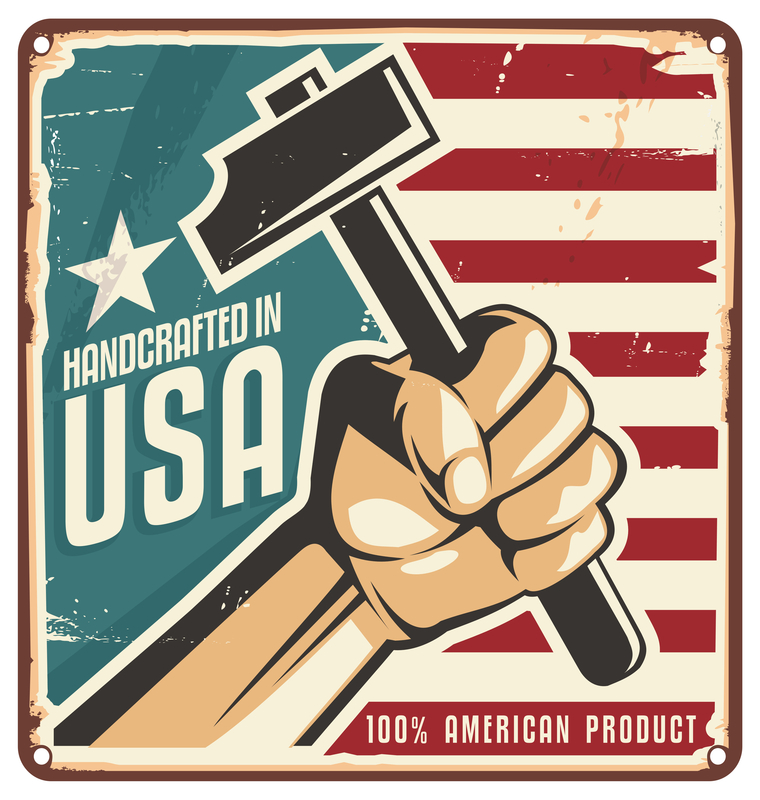 The service uniform fabric is actual military uniform fabric and it is available in Navy Blue, Army Green, Air Force Blue, Marine Corps Blue, Marine Corps Green and Coast Guard Blue. The velvet background is available in Black, Navy Blue, Red and Maroon. Features: for the Memorial Flag Case : Lightweight acrylic front. Choice of background fabric.L Wall mount included. Outside case dimensions: 26"(W) x 18"(H) x 3"(D). This case is designed to hold a 5ft x 9.5ft flag.